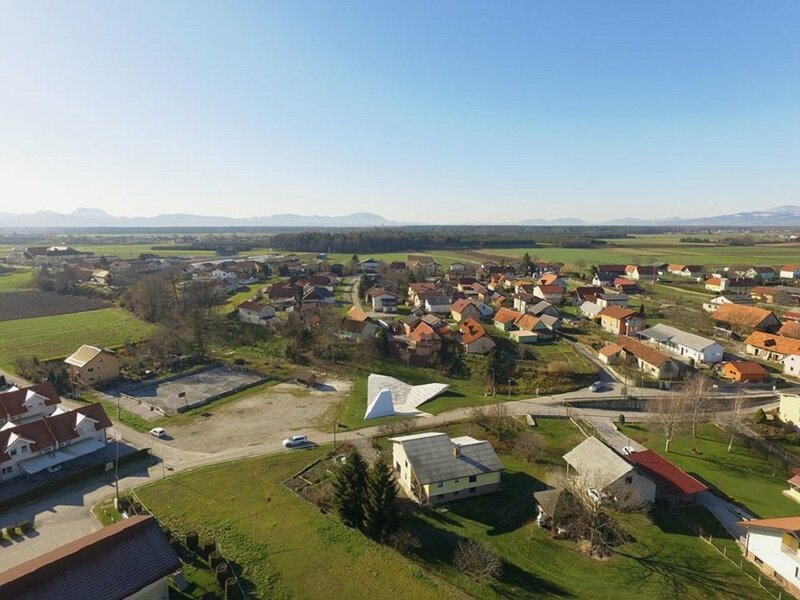 Nestled a few kilometres away from the ancient Slovenian city of Ptuj, the village of Skorba has transformed over the past decade from a quiet rural outpost to a growing commuter suburb. The rapid, unplanned expansion left the settlement without a village centre — and a growing congregation without a place of worship. 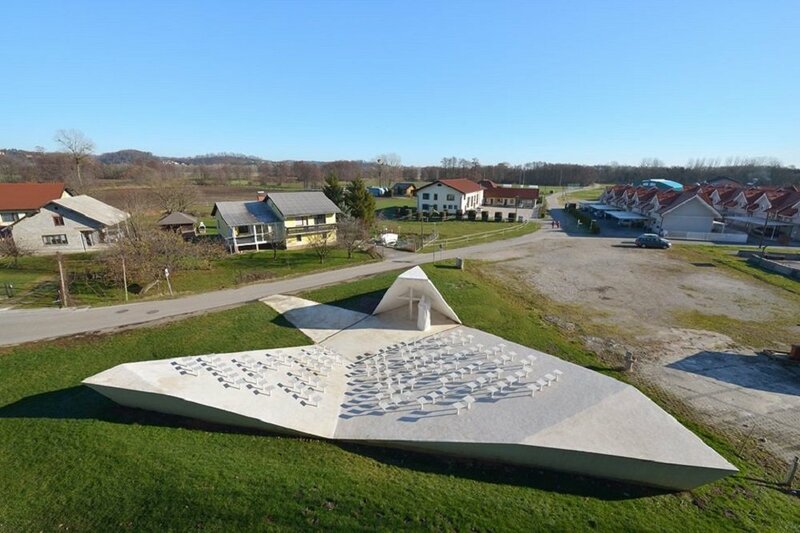 So when plans were put forward to build a village church, Slovenian architecture firm Enota stepped in to solve both problems at once. 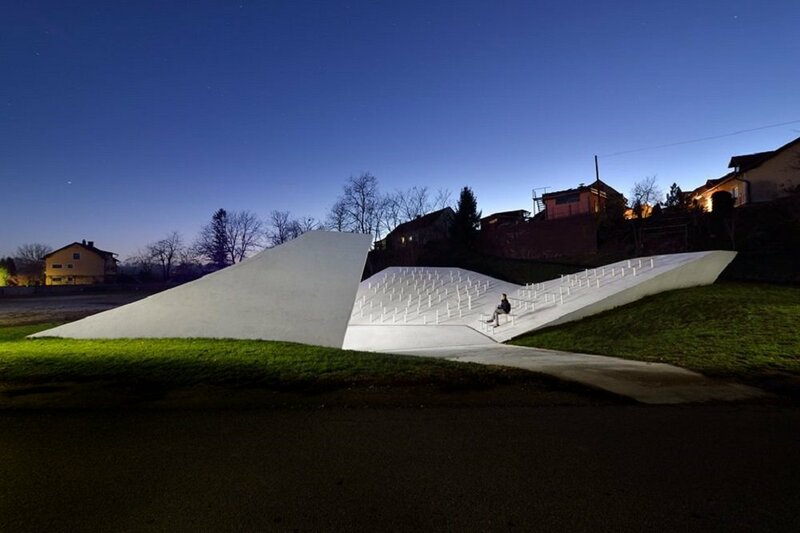 With its open layout, the minimalist chapel invites people from all sides, acting almost as a village crossroads. 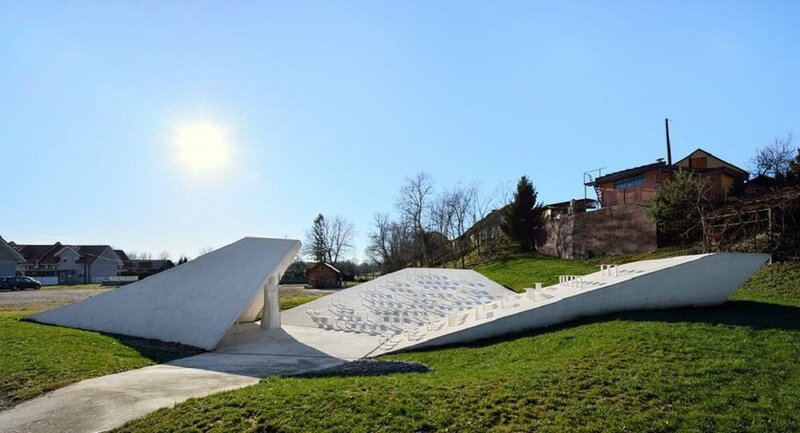 As well as acting as a church, architects envisioned the space as a meeting point and a space for villagers to socialise. 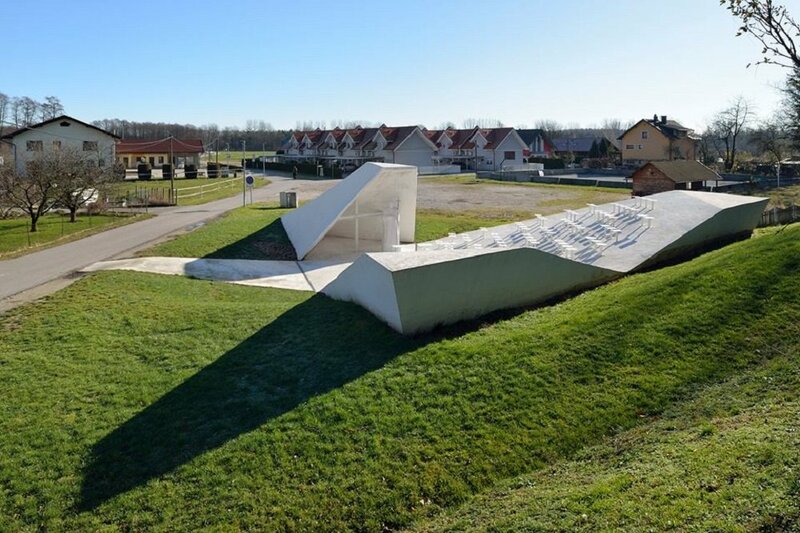 Painted in a clean, minimalist white, the building is a beacon in the surrounding countryside, visible from across the settlement. 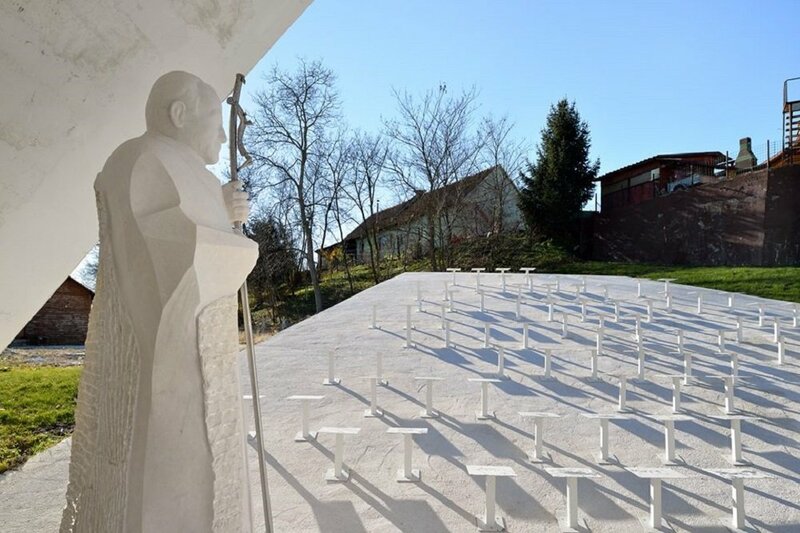 To see more images of the chapel, visit ENOTA’s website by clicking here.